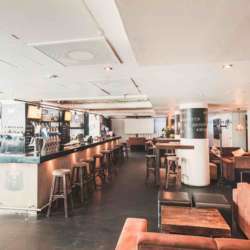 You are invited to celebrate with us and have some fun during this early spring time in Helsinki at this super-cool, venue—Apollo Street Bar—right in the center of the city. You will find us inside Forum (shopping center) on street level entering from Mannerheimintie 16, located only a few minute's walk from the railway station. Let's get together and have some fun at this month's second event and meet many interesting people from all over the world!